Think about all the people – parents, teachers, relatives, and friends – who helped prepare you for adulthood. Can you count them on one hand? Or are even two hands not enough? If the 16-year-old GeQwan had counted the supporters in his corner, he would have needed only a single finger. Having experienced a traumatic childhood that led to foster care, GeQwan did what many of us would if we had no support: he built walls to protect himself from more harm. And he became a fighter. 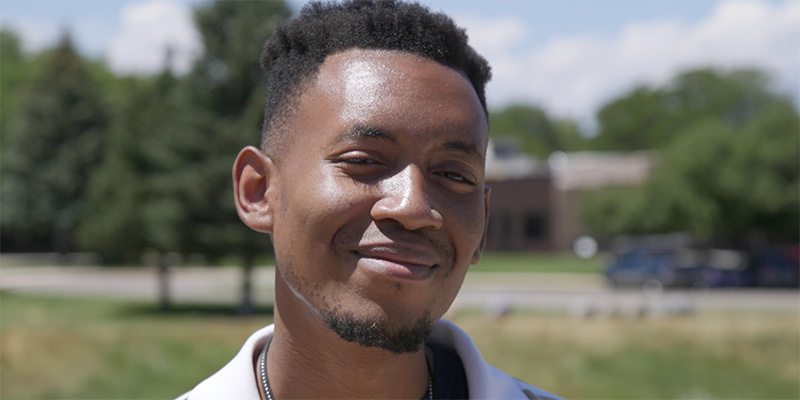 It was Mile High United Way’s program for foster youth in transition, Bridging the Gap, that helped him realize fighting solo would get him nowhere. With coaching, he opened up enough to share his hopes for the future. That led to a job at a local restaurant, and his support system started to grow. Slowly, he began adding to the single finger he once used to count the people in his corner, until he counted several hands, all fighting alongside him as he worked to achieve something bigger. Encouraged, he registered for culinary school, persevered, and graduated. GeQwan may never be fully free of his traumatic past, but his experiences have taught him that he does not need to fight alone. With more and more people in his corner, he’s fighting for a better future.